Here we see God instructing Joshua to speak, to meditate, to observe and to do the word of God to experience a life of prosperity and good success. And who wouldn’t want a life of prosperity and success? 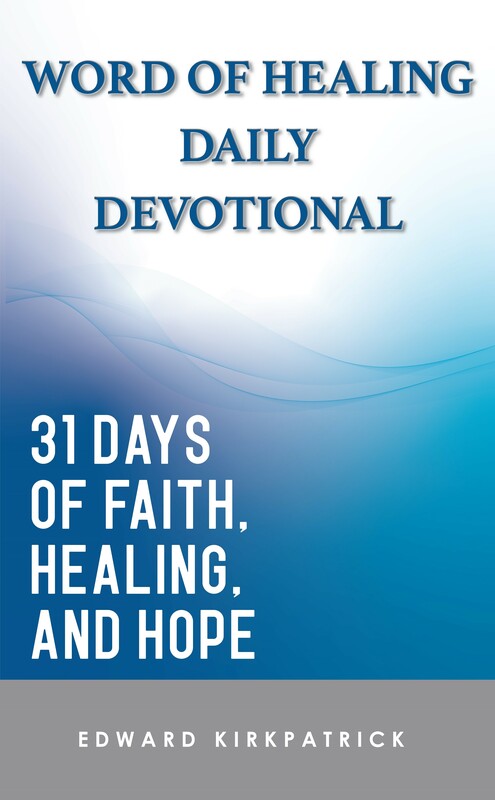 Edward Kirkpatrick’s Word of Healing Daily Devotional is designed to help create a life of daily mediation concerning the promises of God. With each day, you’ll gain insight and clarity to God’s heart regarding your life, your family and your health. You’ll have a daily memory verse to take with you throughout the day along with a reflection section to document your time in the presence of God. 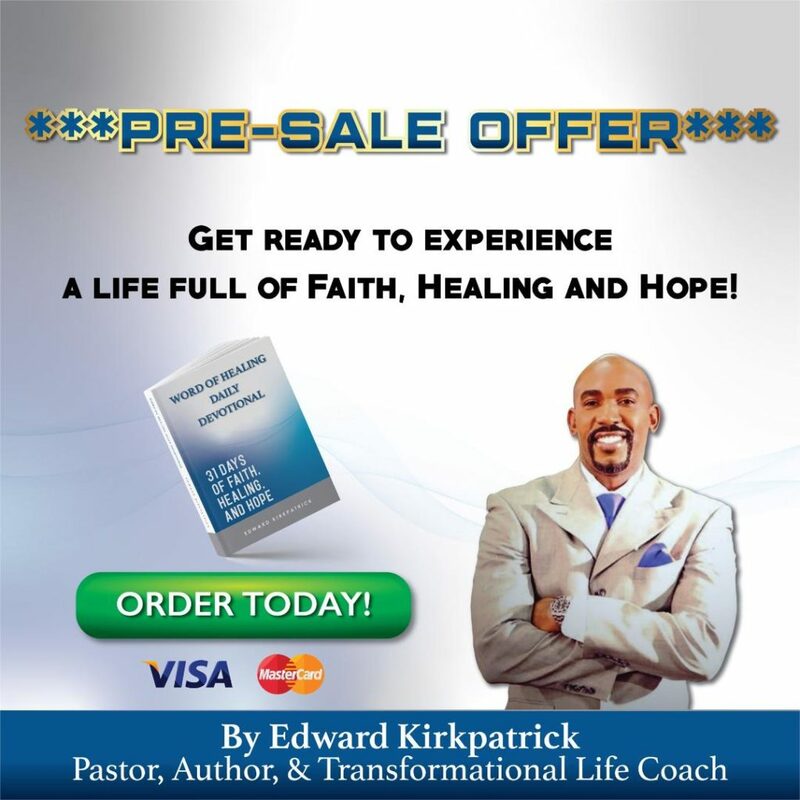 The Word of Healing Daily Devotional will serve as the newest additional to Edward Kirkpatrick’s Divine Healing Now! Collection. The full collection includes the Divine Healing Now! Book, companion workbook and the Divine Healing Now! System. Check them out here! Get ready to experience a life of faith, healing and hope! And in celebration of the devotional’s release, we are having a pre-sale offer of only $13.00! This price is for a limited time only. So head over to our store to reserve your copy today! 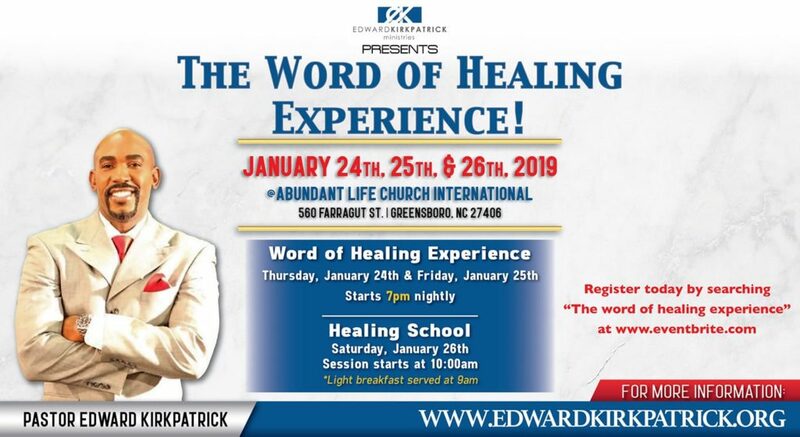 Are you registered for the upcoming Word of Healing Experience?